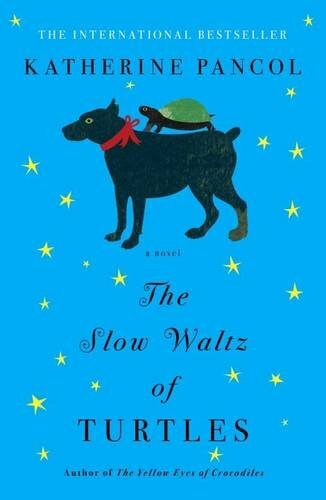 9781250076922 | St Martins Pr, March 8, 2016, cover price $25.99 | About this edition: "An emotional but dreamy novel that. 9781250118165 | Reprint edition (Griffin, March 21, 2017), cover price $15.99 | About this edition: "An emotional but dreamy novel that. 9781405271790 | Reprint edition (Egmont Books, February 1, 2015), cover price $14.99 | also contains Little Women, Little Women, Little Women, Little Women, Little Women, Little Women, Little Women, Little Women, Little Women, Little Women, Little Women | About this edition: "Watch and pray, dear, never get tired of trying, and never think it is impossible to conquer your fault. 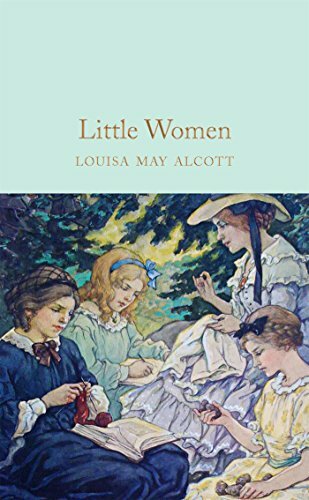 9780147514011 | Puffin, August 28, 2014, cover price $16.00 | also contains Little Women, Little Women, Little Women, Little Women, Little Women, Little Women, Little Women, Little Women, Little Women, Little Women, Little Women | About this edition: Louisa May Alcott's classic tale of four sisters in a deluxe hardcover edition, with beautiful cover illustrations by Anna Bond, the artist behind world-renowned stationery brand Rifle Paper Co.
9781435136526 | Gardners Books, January 14, 2013, cover price $8.45 | also contains Little Women, Little Women, Little Women, Little Women, Little Women, Little Women, Little Women, Little Women, Little Women, Little Women, Little Women | About this edition: Jo March would rather be a Yankee soldier down South facing the rebels than a teenage girl in Concord, Massachusetts, trying to hold her temper. 9781907360213 | Unabridged edition (Collectors Library, March 1, 2011), cover price $12.95 | also contains Little Women, Little Women, Little Women, Little Women, Little Women, Little Women, Little Women, Little Women, Little Women, Little Women, Little Women | About this edition: The March girls are shown throughout as real people and not mere moral examples as we follow them from childhood and the portrayal of the strains and delights of family life is unsurpassed in literature of the time, and has a telling message for the modern world. 9781616402457 | Cosimo Inc, July 31, 2010, cover price $19.99 | also contains Little Women, Little Women, Little Women, Little Women, Little Women, Little Women, Little Women, Little Women, Little Women, Little Women, Little Women | About this edition: It is one of the most beloved novels in the English language, and its protagonists among the best friends a reader can have. 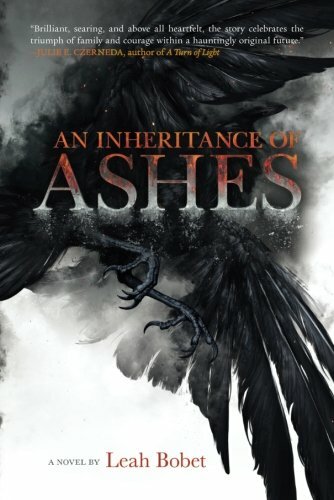 9781530018499 | Createspace Independent Pub, February 13, 2016, cover price $11.73 | also contains Little Women, Little Women, Little Women, Little Women, Little Women, Little Women, Little Women, Little Women, Little Women, Little Women, Little Women, Little Women | About this edition: Little Women is a novel by American author Louisa May Alcott (1832–1888), which was originally published in two volumes in 1868 and 1869. 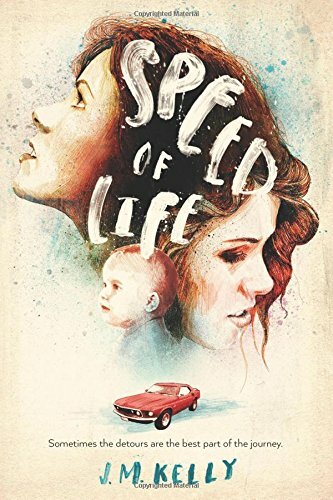 9781530015368 | Createspace Independent Pub, February 12, 2016, cover price $13.99 | also contains Little Women, Little Women, Little Women, Little Women, Little Women, Little Women, Little Women, Little Women, Little Women, Little Women, Little Women, Little Women | About this edition: Little Women is a novel by American author Louisa May Alcott (1832–1888), which was originally published in two volumes in 1868 and 1869. 9781523210602 | Createspace Independent Pub, January 1, 2016, cover price $13.99 | also contains Little Women, Little Women, Little Women, Little Women, Little Women, Little Women, Little Women, Little Women, Little Women, Little Women, Little Women, Little Women | About this edition: Four sisters live with their mother, facing Christmas without their father as the US Civil War is underway. 9781633793828 | Unabridged edition (Dreamscape Media Llc, November 25, 2014), cover price $39.99 | also contains Little Women, Little Women, Little Women, Little Women, Little Women, Little Women, Little Women, Little Women, Little Women, Little Women, Little Women | About this edition: Based loosely on Louisa May Alcott’s own upbringing, Little Women follows the lives of four sisters - Meg, Jo, Beth, and Amy March. 9781633793866 | Mp3 una edition (Dreamscape Media Llc, November 25, 2014), cover price $29.99 | also contains Little Women, Little Women, Little Women, Little Women, Little Women, Little Women, Little Women, Little Women, Little Women, Little Women, Little Women | About this edition: Based loosely on Louisa May Alcott’s own upbringing, Little Women follows the lives of four sisters - Meg, Jo, Beth, and Amy March. 9781417648092 | Turtleback Books, January 1, 2001, cover price $18.45 | also contains Little Women, Little Women, Little Women, Little Women, Little Women, Little Women, Little Women, Little Women, Little Women, Little Women | About this edition: Chronicles the joys and sorrows of the four March sisters as they grow into young ladies in nineteenth-century New England. 9780613904094 | Unabridged edition (Turtleback Books, March 1, 2000), cover price $13.55 | also contains Little Women, Little Women, Little Women, Little Women, Little Women, Little Women, Little Women, Little Women, Little Women | About this edition: Chronicles the joys and sorrows of the four March sisters as they grow into young women in nineteenth-century New England. 9780613994439 | Turtleback Books, November 1, 1997, cover price $31.90 | also contains Little Women, Little Women, Little Women, Little Women, Little Women, Little Women, Little Women, Little Women, Little Women | About this edition: Chronicles the joys and sorrows of the four March sisters as they grow into young women in mid-nineteenth-century New England. 9781417600373 | Turtleback Books, June 1, 1997, cover price $11.20 | also contains Little Women, Little Women, Little Women, Little Women, Little Women, Little Women, Little Women, Little Women, Little Women, Little Women | About this edition: An abridged version of the classic novel chronicling the joys and sorrows of the four March sisters as they grow into young women in mid-nineteenth-century New England. 9780613950664 | Turtleback Books, July 1, 1994, cover price $13.55 | also contains Little Women, Little Women, Little Women, Little Women, Little Women, Little Women, Little Women, Little Women, Little Women | About this edition: A simplified retelling of the joys and sorrows of the four March sisters as they grow into young ladies in nineteenth-century New England. 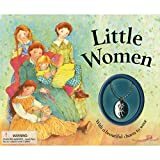 9780147509048 | Gardners Books, August 29, 2013, cover price $16.55 | About this edition: 'Little Women' is recognised as one of the best-loved classic children's stories of all time. 9781616416171 | Abdo Group, August 1, 2011, cover price $27.07 | About this edition: Louisa May Alcott's classic tale follows the lives of the four March sisters. 9781607540090 | Rosen Pub Group, January 1, 2009, cover price $28.95 | About this edition: A retelling of the joys and sorrows of the four March sisters as they grow into young women in mid-nineteenth-century New England. 9781577656937 | Spotlight, January 1, 2002, cover price $21.35 | About this edition: Chronicles the joys and sorrows of the four March sisters as they grow into young ladies in mid-nineteenth-century New England. 9781496709974 | Kensington Pub Corp, January 31, 2017, cover price $7.99 | About this edition: From New York Times bestselling author Marie Bostwick comes an emotionally rich, inspiring novel about family, second chancesâand the connections that bring women together in hope and healingâ¦ Years of long workdays and little sleep as a political campaigner are about to pay off now that Lucy Toomeyâs boss is entering the White House. 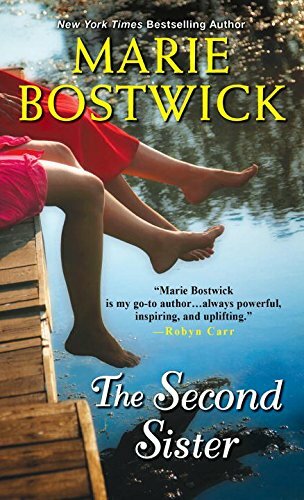 9781617736551 | Kensington Pub Corp, March 31, 2015, cover price $15.00 | About this edition: From New York Times bestselling author Marie Bostwick comes an emotionally rich, inspiring new novel about family, second chances--and the connections that bring women together in hope and healing. 9781628995886 | Large print edition (Center Point Pub, June 1, 2015), cover price $34.95 | About this edition: Years of long workdays and little sleep as a political campaigner are about to pay off now that Lucy Toomey's boss is entering the White House. Egg is not hatching. No way. No how. It is too scary out there. 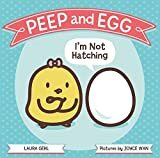 Peep wants Egg to hatch so they can do fun things together, like watch the sunrise, splash in puddles, and play hide-and-seek.But Egg is not cracking... Joyce Wan's bright and bold illustrations will have young chickies giggling at Laura Gehl's reassuring tale that takes the not out of I'm not. 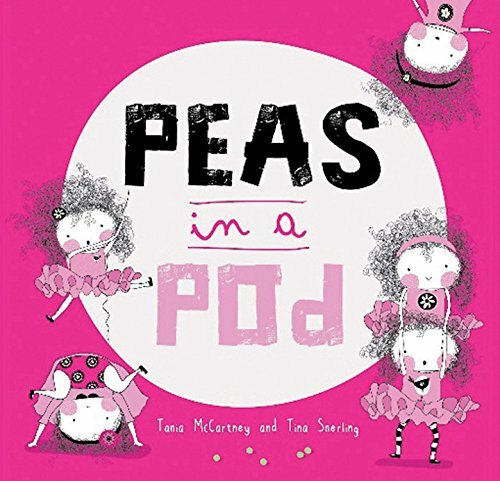 9780374301217, titled "Peep and Egg: I'm Not Hatching" | Farrar Straus & Giroux, February 9, 2016, cover price $16.99 | About this edition: Egg is not hatching. Product Description: When Elsa has to leave Arendelle for a day, Anna is left in charge! Princess Anna, Queen Elsa, Olaf the snowman, and all the characters from Disney Frozen star in this magical chapter-book series perfect for newly independent readers ages 6 to 9.From the Hardcover edition. 9780736434805 | Disney Books for Young Readers, January 3, 2017, cover price $9.99 | About this edition: When Elsa has to leave Arendelle for a day, Anna is left in charge! 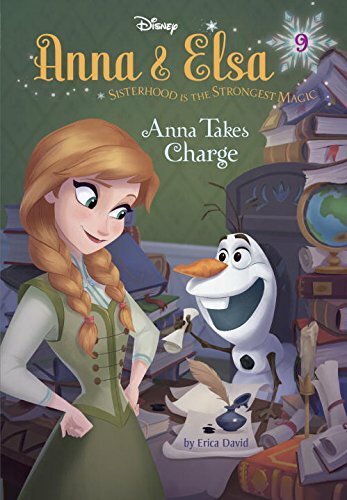 9780736434591 | Disney Books for Young Readers, September 8, 2015, cover price $39.96 | About this edition: Princess Anna, Queen Elsa, Olaf the snowman, and all the stars from Disney Frozen are back in an all-new magical chapter book series perfect for children ages 6 to 9. 9780553220124, titled "The Cherokee Trilogy: Tempting the Wolf" | Bantam Classic & Loveswept, June 1, 1989, cover price $2.50 | also contains The Cherokee Trilogy: Tempting the Wolf | About this edition: Fiction, Romance, The Cherokee Trilogy James Tall Wolf Didn't think Erica belonged on the Carolina Cherokee reservation, he called home. 9780736482363 | Disney Books for Young Readers, January 3, 2017, cover price $12.99 | About this edition: When Elsa has to leave Arendelle for a day, Anna is left in charge! 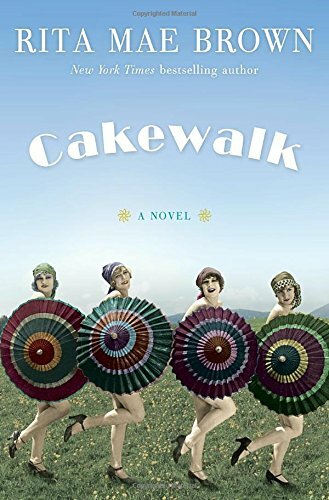 9781410480989 | Large print edition (Thorndike Pr, July 22, 2015), cover price $30.99 | About this edition: "New York Times "bestselling author Nikki Turner returns with her most spellbinding story to date: Meet the Banks sisters--Simone, Bunny, Tallhya, and Ginger. 9781622867769 | Urban Books, December 27, 2016, cover price $6.99 | About this edition: New York Times bestselling author Nikki Turner returns with the next edition in the highly successful Banks Sisters trilogy. 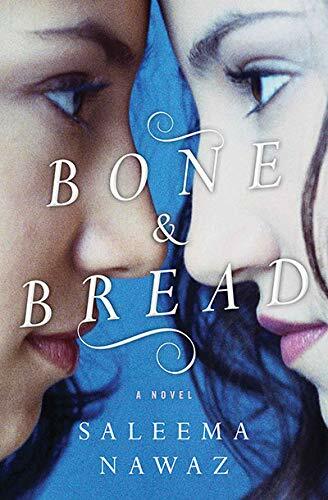 9781622869473 | Urban Books, August 25, 2015, cover price $6.99 | About this edition: New York Times bestselling author Nikki Turner returns with her most spellbinding story to date: Meet the Banks sistersâSimone, Bunny, Tallhya, and Ginger. 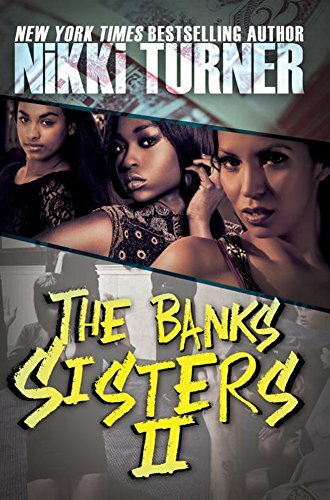 9781601626479 | Urban Books, February 24, 2015, cover price $14.95 | About this edition: New York Times bestselling author Nikki Turner returns with her most spellbinding story to date: Meet the Banks sisters—Simone, Bunny, Tallhya, and Ginger. 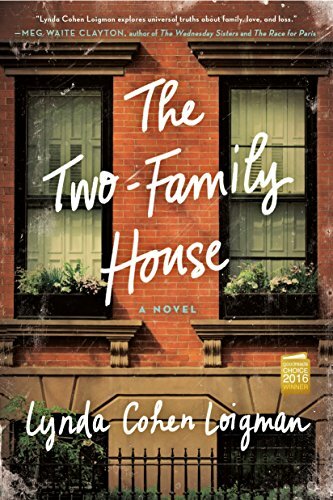 9781770890091 | House of Anansi Pr, November 22, 2016, cover price $16.95 | About this edition: Beena and Sadhana are sisters who share a bond that could only have been shaped by the most unusual of childhoods -- and by shared tragedy. 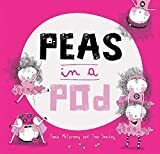 9781921966712 | Exisle Pub, July 1, 2015, cover price $17.95 | About this edition: Pippa, Pia, Poppy, Polly and Peg are quintuplets. 9781925335286 | Ek Books, November 1, 2016, cover price $9.99 | About this edition: Now in paperback! 9780143128175 | Penguin USA, November 1, 2016, cover price $17.00 | About this edition: In this mega-bestseller from France and the follow-up to The Yellow Eyes of Crocodiles, a woman contends with divorce, family trouble, and even murder in her journey to discover who she really is. 9781619636903 | Bloomsbury USA, May 12, 2015, cover price $17.99 | About this edition: When Apple's mother returns after eleven years of absence, Apple feels almost whole again. 9781681190730 | Reprint edition (Bloomsbury USA, October 25, 2016), cover price $9.99 | About this edition: When Apple's mother returns after eleven years of absence, Apple feels almost whole again. 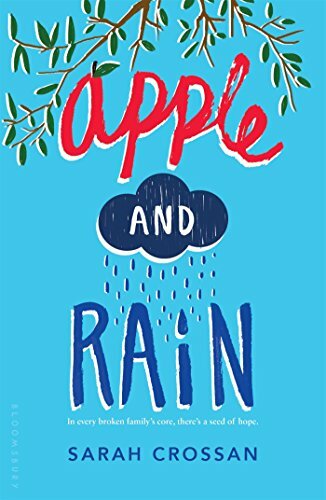 9780553392654 | Bantam Dell Pub Group, October 18, 2016, cover price $27.00 | About this edition: Continuing in the exuberant tradition of Six of One, Bingo, and Loose Lips, New York Times bestselling author Rita Mae Brown returns to her much-loved fictional hamlet of Runnymede, whose memorable citizens are welcoming both the end of the Great War and the beginning of a new era. 9781772031393 | Wandering Fox, October 15, 2016, cover price $12.95 | About this edition: When Cat and her friends are taken hostage and find themselves stranded in Headless Valley, it's clear they will need a miracle to get back home. 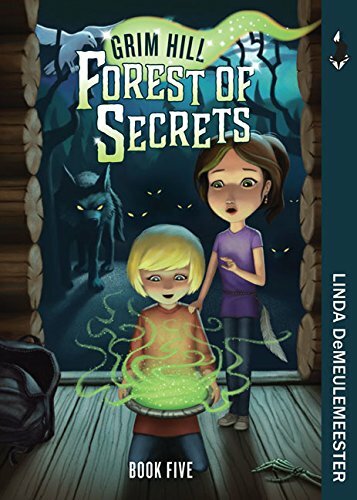 9781926909875, titled "Forest of Secrets: Forest of Secrets" | Lobster Pr, May 1, 2011, cover price $10.95 | About this edition: After nearly losing Sookie to a coven of witches during their student exchange to Sweden, Cat Peters has vowed to keep her sister as far from magic as possible. 9780544747821 | Harcourt Childrens Books, October 11, 2016, cover price $17.99 | About this edition: Twins Crystal and Amber have the same goal: to be the first in their family to graduate high school and make something of their lives. 9780544281110 | Clarion Books, October 6, 2015, cover price $17.99 | About this edition: The strange war down southâwith its rumors of gods and monstersâis over. 9780544813229 | Harcourt Childrens Books, October 11, 2016, cover price $9.99 | About this edition: The strange war down southâwith its rumors of gods and monstersâis over. 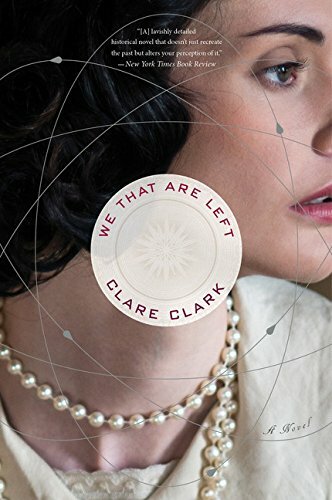 9780544811881 | Mariner Books, October 11, 2016, cover price $14.95 | About this edition: A New York Times Editors' Choice A Washington Post âNotable Fiction Book of 2015âÂ â[A] lavishly detailed historical novel that doesnât just recreate the past but alters your perception of it. 9781492622505 | Sourcebooks Jabberwocky, October 6, 2015, cover price $12.99 | About this edition: My name is Amber Alessandra Leola Kimiko Miyamoto. 9780442018931, titled "The Control and Treatment of Industrial and Municipal Stormwater" | Van Nostrand Reinhold, October 1, 1995, cover price $76.95 | also contains The Control and Treatment of Industrial and Municipal Stormwater | About this edition: The Control and Treatment of Industrial and Municipal Stormwater Edited by Peter E.
9780553520958 | Random House Childrens Books, September 27, 2016, cover price $16.99 | About this edition: This deliciously illustrated modern-day Cinderella tale (with a healthier dose of sisterly love) is sure to enchant young fashionistas . 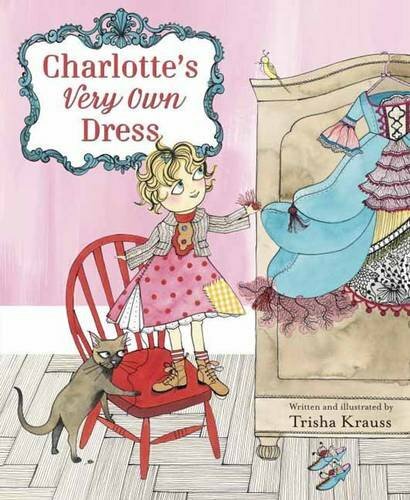 9780553520965 | Random House Childrens Books, September 27, 2016, cover price $19.99 | About this edition: This deliciously illustrated modern-day Cinderella tale (with a healthier dose of sisterly love) is sure to enchant young fashionistas .